Wheeled armored vehicles are enjoying a heyday in Europe and the Middle East because of gray zone warfare. There’s now an abundance of upgrades and countermeasures for improving their performance, making wheeled APCs as reliable as–if not better than–their tracked counterparts a generation ago. One fine example is the Dragoon 2 ASV manufactured by Star Defense Logistics & Engineering (SDLE) whose colorful lineage lends to its appeal for militaries on a tight budget. As a proven combat and security vehicle, the Dragoon 2 ASV even surpasses the Oshkosh JLTV and other current generation tactical 4x4s in some aspects. Originally designed to be compatible with the US Army’s 2.5 ton trucks and M113 APCs, the Dragoon 2 functions like a bunker on wheels that can withstand direct fire from automatic rifles and machine guns. Compared to a Humvee or Land Rover, the Dragoon 2 survives grenade blasts and the resulting fragmentation without any risk to its occupants. Besides its protective features, SDLE’s Dragoon 2 enjoys broad modularity. If the mission requires perimeter defense, the Dragoon 2 is perfect for securing airfields, command centers, depots, and other vital locations. Should hostile forces launch an attack on these sites, the presence of Dragoons allows local security personnel to defeat the threat. With the extent of its armor, a Dragoon fights and moves without risk of being disabled unless it’s targeted with large caliber shoulder-fired anti-tank weapons. Convoy protection and patrols are another specialty, since the Dragoon 2’s basic armament (either a machine gun or an automatic grenade launcher) is robust enough for the task. With a machine gun on a ring mount inside a protective cupola, the Dragoon is able to return fire during an ambush and engage hostile forces until these are neutralized or the convoy leaves the area. With enough space for eight occupants and three crew, a Dragoon in combat is joined by a dismounted infantry squad who can bring their own weapons to bear on the enemy. There are other missions the Dragoon 2 is able to perform surpassing the capabilities of other tactical 4×4’s. In fact, a report from the Director-Operational Test & Evaluation (DOTE) on the US Army’s various equipment found the Oshkosh JLTV ill-suited for several roles the Dragoon 2 excels at. The DOTE found out that a JLTV armed with a missile launcher doesn’t carry enough ammunition nor is it “operationally effective.” By comparison, it’s possible to arm the Dragoon 2 with an oscillating turret for several weapons, from a .50 caliber to a 90mm gun and there will be enough space inside and outside the vehicle for ammunition storage. The US Marine Corps, however, did perform “shore-to-shore” travel with a JLTV during an amphibious exercise. But in this regard the Dragoon 2 is still superior–it’s fully amphibious and able to swim in shallow waters using its rear wheels as propulsion. Another endearing feature of the Dragoon 2 is how familiar its maintenance routine is. 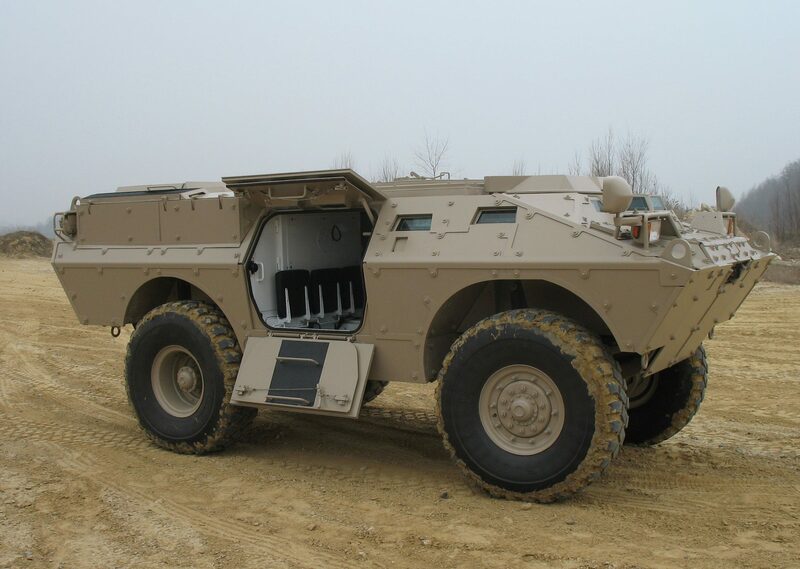 Unlike the JLTV, which faces numerous performance issues, the Dragoon 2 shares commonalities with several earlier vehicles such as the M113 APC. Armies that are familiar with the M113 will have little trouble adopting the Dragoon 2. Overall, its characteristics and dimensions allows the Dragoon 2 to serve as an assault vehicle, a casualty evacuation transport, a direct fire platform, and reconnaissance and surveillance missions. Because of its age and how robust its performance is, arguing against the Dragoon 2 is a questionable pursuit. Without a trace of doubt, it can perform almost any job on the battlefield.